A big name Japanese “enka” singer. Born in Shibuya Ward, Tokyo. Her real name is Terumi Yamada. Her husband is Ryotaro Sugi. In April 1985, debuted under the stage name “Yuki Kagawa” with the song “Yoake Made Yokohama”. On July 21st 1986, changed to her real name Terumi Nakagawa and released the song “Yume Kizuna”. In 1987, re-debuted under the name Natsuko Godai with the song “Modori Gawa”. The song became a long-seller, marking over 350,000 copies sold. In 1988, released the first album “Modori Gawa”. In 1990, made her first “Kouhaku” appearance at the “41st NHK Kouhaku Uta Gassen”. In 1991, the song “Shinobu Ame” sold over 500,000 copies, and became a long-seller. 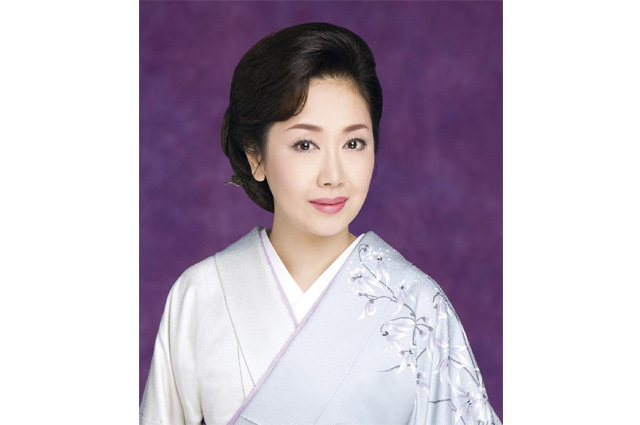 In 1992, appeared in the “19th Hiroshima Heiwa Ongakusai” and made her 3rd consecutive appearance at the “43rd NHK Kouhaku Uta Gassen” and has appeared 18 times by the year 2011. By the year 2011, released 40 albums and 27 singles.